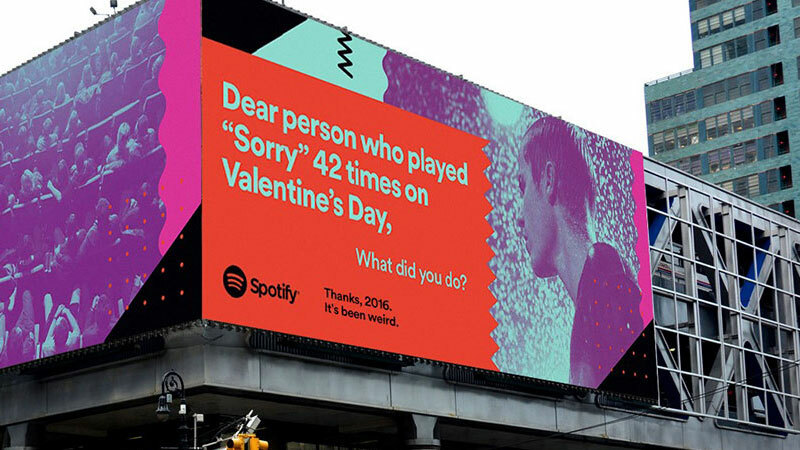 Did this Spotify billboard catch your eye in 2016: “Dear person who played ‘Sorry’ 42 times on Valentine’s Day, what did you do?” In their largest out-of-home advertising campaign to date, the streaming service made use of both aggregate and individual level data to gain insight into the people using their platform. Today, each of us has a greater digital footprint than ever before. Whether it be through our music playlist, Gmail account or tracking our exercise levels, we are creating more and more data about the ways in which live our lives. Businesses are already making use of this, using the data to inform strategy, decision-making and action to provide us with personalized suggestions to (hopefully) help. The same is also true in healthcare. Our health, like our lives, is always on and always on the go. The only difference now is that, thanks in part to IoT for healthcare, there are far more ways in which we can record, track and provide information on our health – whether it be through heartrate monitors, step counters or smart watches. With a plethora of choices, the market continues to gain traction: Just under 50 million wearable devices were shipped in in 2015 and over 125 million units are expected to ship in 2019 (15 Noteworthy Facts About Wearables In 2016, 2016). As with our Spotify playlist, though, this data alone can only do so much. It is only made meaningful when we know how to make use of it. One of the ways in which this can be done is by ensuring that it is available to the people who need it – by equipping them to take small steps to improve their health, our healthcare providers, with the data and resources that allow them to do so. Data also has the potential to allow healthcare systems to act and prevent their services from even being required! The findings of a study recently published in eGEMs back up what we in population health management have long been saying – using data to identify individuals who are at high risk of their health deteriorating and taking action to intervene, can help prevent ill health before it occurs, helping people to live longer, healthier lives and saving healthcare systems money. When the financial pressures are on and budgets are tight, this is a win-win situation for all. Patient adherence to medication regimes remains a challenge, with an estimated 125,000 unnecessary deaths occur each year in the United States due to patients not following their regimens. It is estimated that nonadherence along with suboptimal prescribing, drug administration could result in as much as $290 billion in US health expenditures annually! While patients rely on medications to keep them healthy and help manage chronic conditions, complex medication schedules can often lead to mistakes, such as missed doses, incorrect amounts, or taking medications at the wrong time. Patients taking multiple prescription medications are also at a greater risk of falls which can lead to hospitalization. A connected medication dispensing solution is a simple way to manage medications – and lessen the chance of falling or hospitalization. At a time when patients have less time to manage their health and are used to a world that delivers instant solutions, data can be made meaningful by equipping critical parties – patients, caregivers and healthcare providers with the information to deliver their services, when and where they are needed. In the same way that Spotify knew the thousands of individual playlists was of minimal use to their advertising campaign without a smart way to make it meaningful, we also know that it’s not the data that is important; it’s what you do with it. That Spotify tweet was every where lol. But yeah I hope more people take the initiative for preventative healthcare screening, it would be amazing if our current data could be used for this.